How much money do you think you spend on games? If you are buying them only once or twice a month, kicking in $30-60 per title, it may not be so bad. But really, those costs add up! 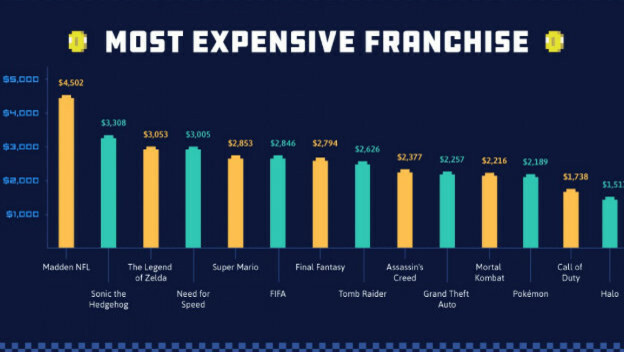 NetEntStalker recently released an infographic with data it acquired suggesting that Madden NFL was the franchise people would have spent the most money on over time, factoring in the 32 installments released and at least eight consoles you would need at the absolute minimum to play. Let's go over NetEntStalker's research and offer some additional thoughts on their findings.